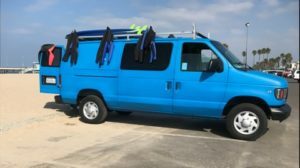 Is equipment (surfboards and wetsuits) included? Yes, the price for each class includes the actual lesson, a wetsuit and a surfboard. What is the cancelation/ rescheduling policy? You have to cancel or reschedule 24 hours before the class in order to get a full refund or being rescheduled for another date/time. Can I book a group lesson if it’s just me by myself? No matter how many people want to book, you can always book a group lesson even as a single participant. We will combine you with other students to fulfill the group. Can someone make pictures while I’m surfing? We have an option to reserve a photographer for a class. You can request this service by email or book it online on our website. The price is per person per class.